While award shows like the Oscars, Golden Globes, and BAFTAs celebrate the best of TV and film in a given year, there's no denying every go-round the sun we put up with a good deal of stinkers too. And that, dear reader, is where the Razzies come in. Since 1981, the Razzies have 'honored' the very worst in Hollywood. And today, the Golden Raspberry Award Foundation has released its list of nominees from 2017. Transformers: The Last Knight leads with nine nominations, including Worst Picture, Worst Actor (Mark Wahlberg), Worst Remake, Rip-Off, or Sequel, Worst Director, and Worst Screen Combo (Any Combination of Two Humans, Two Robots or Two Explosions). Fifty Shades Darker was just one nomination shy of tying for first place, but instead comes in with eight nominations - though many are in the same categories as Transformers. Other 'honorees' include The Emoji Movie, the Baywatch remake, mother!, and The Mummy. Which... okay, I actually like mother!, but I'm a sucker for Aronofsky films. 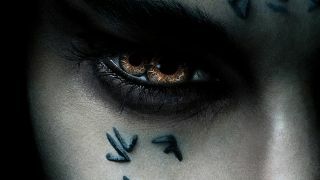 And I admit that although The Mummy is terrible, I would still recommend renting it on the cheap because there are moments - teensy, teensy moments - where you can see that it had potential. And come on, Sofia Boutella did a good job as Ahmanet. But in the end, the Razzies are just a bit of fun, a way to poke at subpar films. So if, like me, you find a movie or actor on this list and you disagree, try to just have a laugh and look forward to the uh... 'winners' being announced on March 3.